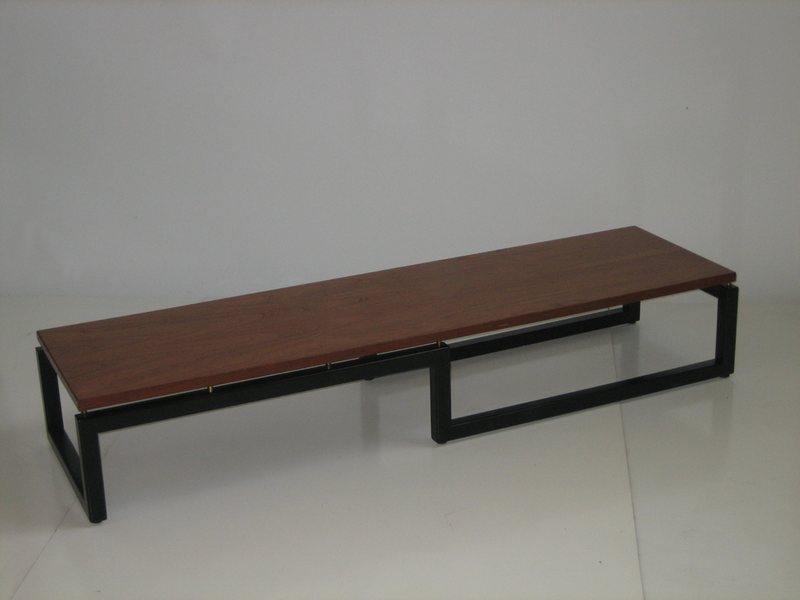 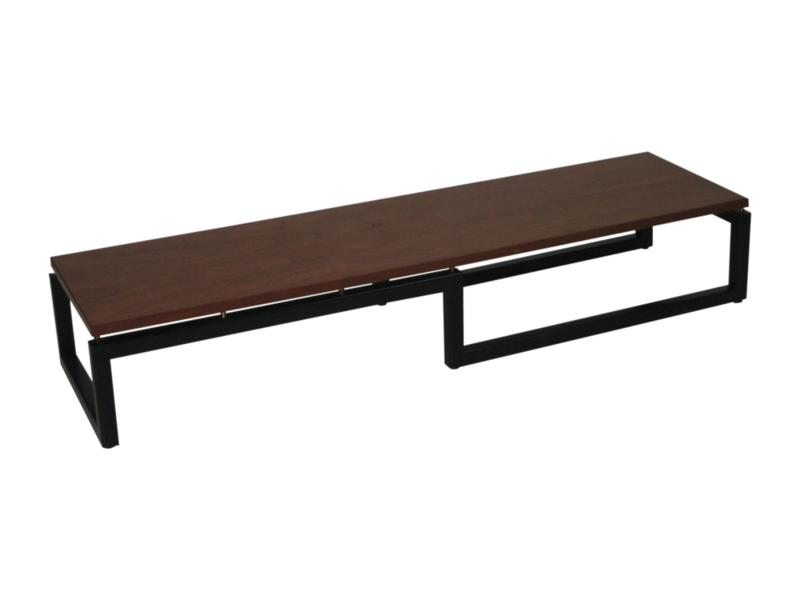 Paul Tuttle designed this bench table to enhance the Michael Taylor "New World" group, manufactured by Baker Furniture Co. in the early 1950's. 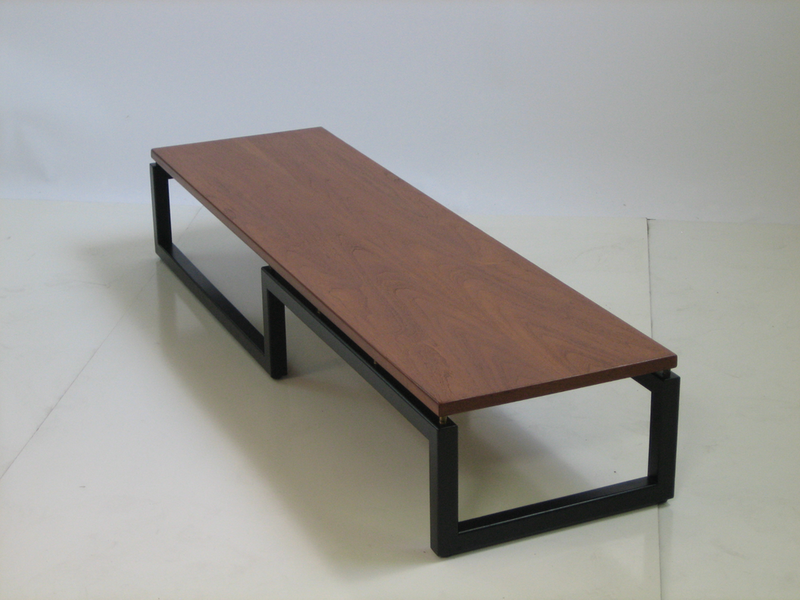 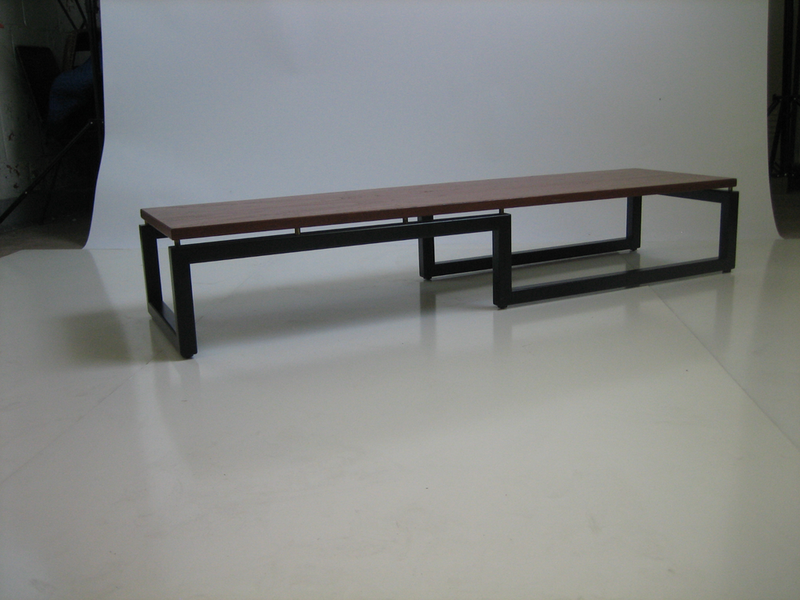 Top is lacquered walnut with ebonized base. 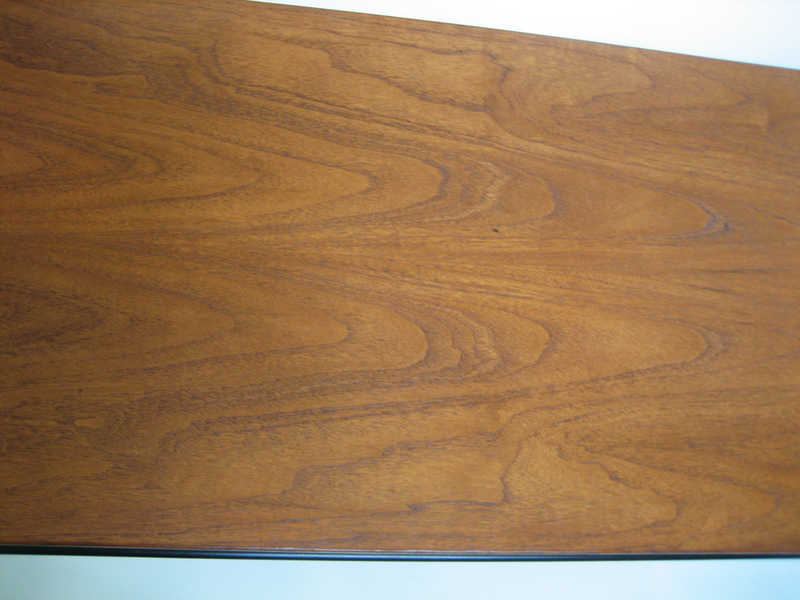 It is in beautifully refinished condition.